Global subsea services company Seanic Ocean Systems Ltd, a Centurion company, has moved its UK division into new premises in the ABZ Business Park in Dyce, Aberdeen, following a positive stream of business and sustained growth. In the last 12 months, the company has seen a 26% increase in utilisation of its decommissioning equipment packages that have supported various clients across multiple campaigns throughout the year. 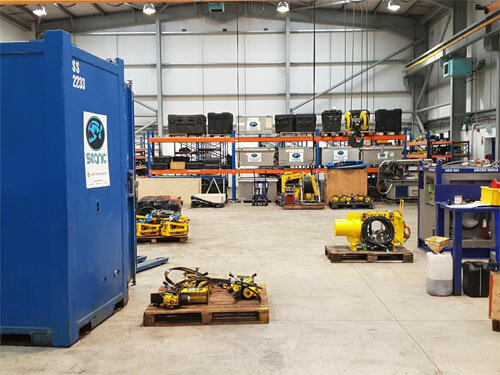 The new facility provides a larger workshop area and improved storage space to house the company’s wide range of ROV tooling, intervention and diver tools, deck and subsea support equipment. 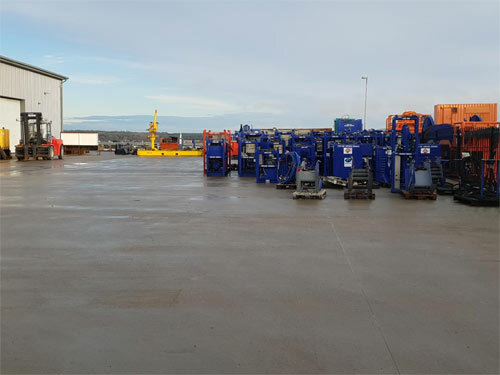 The relocation has seen the company continue to extend its range of decommissioning support, spooling services and rental of specialist subsea packages, that includes diver and ROV tooling to its oil and gas clients. Seanic’s capable engineering team is a great source for the repair or refurbishment of deck equipment and they excel in the design and manufacturing of bespoke subsea products. Tom Ayars, Seanic President, said: “The move places Seanic in a more strategic location, closer to our key clients servicing the North Sea energy industry and reinforces our commitment to providing the most efficient services to help them achieve their project goals. “In the last 6 - 12 months, we have experienced an upsurge in inspection, maintenance and refurbishment work as companies look to get the most out of their existing equipment. The new facility’s improved workshop space means we can continue to meet these requests while also being in a stronger position to offer an increased range of standard equipment. “Seanic’s fleet management clients can also reap the benefit from the increased space where their equipment is maintained and stored in between campaigns. Centurion Group comprises eight companies: ATR, Conserve Oilfield Services, Jacks Winches, Mining Camps Australia, RentAir Offshore, Safety & Technical Hydraulics Ltd, Seanic Ocean Systems and Tristar Water Solutions.